Cleyson L. Brown was born in Brown’s Mill, Pennsylvania, in February 1872. He graduated from Abilene, Kansas, High School and attended Elliott’s Business College in Burlington, Iowa. In 1899, he organized the Brown Telephone Company to serve the Abilene area. Many exchanges were acquired in the following 12 years, and in 1911, a merger of properties owned by Southwestern Bell formed the United Telephone Company. More mergers and acquisitions followed in subsequent years. They extended United’s holdings from the Colorado-Kansas border to the eastern seaboard. All of this occurred because of his exceptional organizational ability and financial efficiency. Through his efforts, the second largest Independent telephone system emerged. 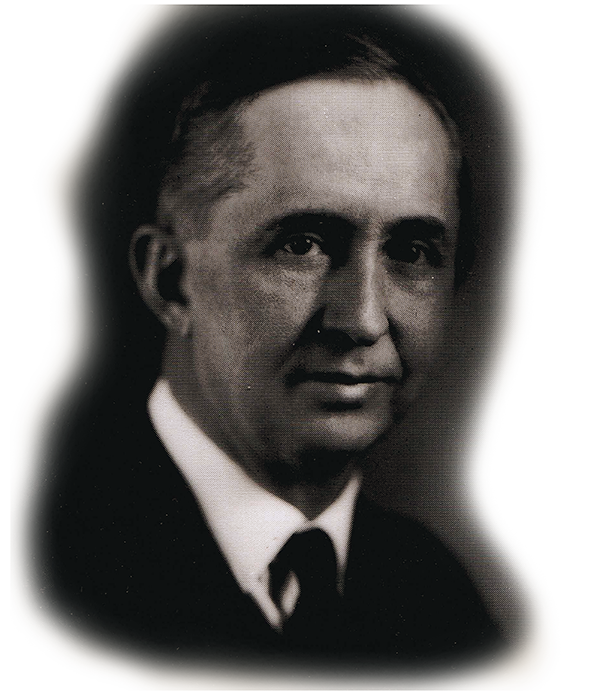 During his career, Brown was active in the Chamber of Commerce, National Council of Boy Scouts, Rotary Club, a Deacon of The First Presbyterian Church, and he founded the Brown Memorial Foundation, which is still in operation. It maintains a 400-acre park, a Boy Scout camp, Girl Scout camp, and the Brown Memorial Home for the aged near Abilene, Kansas. He died in 1935.